I design dresses for girls to have a great time in. To celebrate. 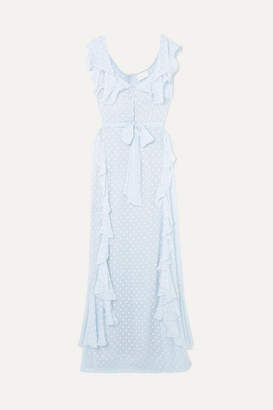 To have fun said Alice McCall - it's easy to imagine this 'My Baby Love' maxi dress sweeping across the dance floor. 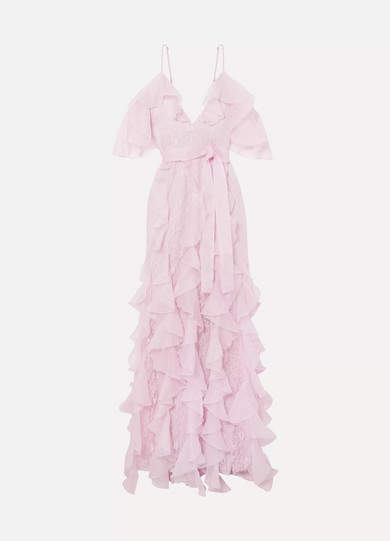 Made from delicate corded lace, this style is designed with tiers of silk-organza ruffles that trace the cold-shoulder neckline and cascade down the figure-hugging shape. Temper the long length with your highest pair of heels.